You find me on a Tuesday, on my Tuesday trip to town. You’re sellotaped to the inside pane of the jumble shop window. A photograph of your mangled face. Springtime, and two misfits – one an eccentric loner and the other a one-eyed dog – forge an unlikely relationship. In a tired seaside town, these outcasts find solace in each other. But as their friendship grows, they are driven away by a community that perceives menace where there is only mishap. Part Kjersti Skomsvold, part Patrick McCabe, Spill Simmer Falter Wither is a wholly different kind of love story, that spans the four seasons echoed in the novel’s title. 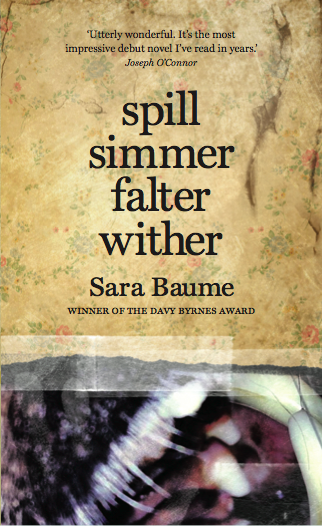 Written with tremendous empathy and insight, Baume’s debut captures the incremental destructive essence of loneliness, and confirms the talent so emphatically acknowledged by the Davy Byrnes Award jury. Winner of the 2015 Newcomer of the Year Award at the Bord Gáis Energy Irish Book Awards. Shortlisted for the Costa First Novel Award, longlisted for the Guardian First Book Award, longlisted for the Warwick Prize, winner of the Rooney Prize. 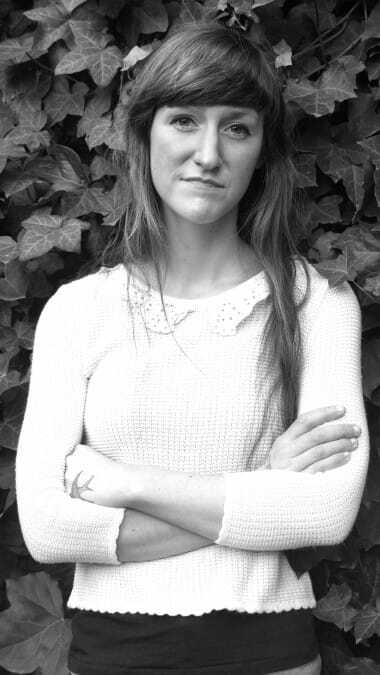 Sara Baume won the 2014 Davy Byrne’s Short Story Award, and in 2015, the Hennessy New Irish Writing Award, the Rooney Prize for Literature and an Irish Book Award for Best Newcomer, and in 2016, the Kate O’Brien Award. Her fiction and criticism have been published in anthologies, newspapers and journals such as the Irish Times, the Guardian, The Stinging Fly and Granta magazine. Her debut novel, Spill Simmer Falter Wither, was long-listed for the Guardian First Book Award, the Warwick Prize for Writing and the Desmond Elliott Prize for New Fiction, and shortlisted for the Costa First Novel Award. In autumn 2015, she was a participant in the International Writing Program run by the University of Iowa and received a Literary Fellowship from the Lannan Foundation in Santa Fe, New Mexico. She lives in West Cork. Her second novel, A Line Made by Walking, will be published by Tramp Press in early 2017 and is available to preorder now.